The world's most successful companies treat their people differently. For the first time ever, their secrets are out. They generate twice the stock market returns and have half the employee turnover. They innovate more, deliver better customer service and are more productive. They outperform their peers and disrupt markets. 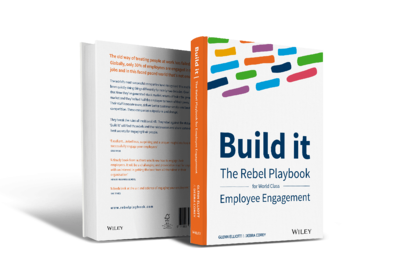 With insight, case studies and practical advice from market disrupters including LinkedIn, Spotify, and Xero, plus the 10-part Engagement Bridge™ model, Build it : The Rebel Playbook for Employee Engagement shows how out-performing companies get more from their people. The old ways of treating people have failed. Only 30% of employees are engaged in their jobs. And in a technology-fueled, super competitive world, that's no longer enough. Companies need to be on their A-game just to survive – we simply can't afford employee disengagement anymore. While the rest of the world sleeps, a growing group of companies has recognized that something needs to change. These companies have been quietly doing things differently for nearly two decades. They don't create easy places to work, they create good places to work. Places where their people are inspired and able to do their best work. They do this by treating people differently. They break the rules of traditional HR. They rebel against the status quo. And now, for the first time ever, their secrets and techniques are shared. Get started straight away and see what Build it is all about with a free preview of the first two chapters. 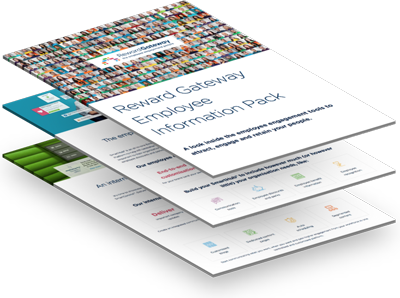 You'll learn how employee engagement powers business results and the key basics of The Engagement Bridge – the ten-part model which the book explains. "Every company in the world is trying to disrupt itself before it is disrupted by newcomers. Everyone knows why but most struggle with how. Here is a book bursting with great examples, concrete actions, real success. It’ll give you ideas, debates, great arguments and, most of all, hope." "A complete and practical guide to improving business through a people-first approach. The focus on values, rebelling, and treating employees with care makes this a fantastic resource for anyone focused on company culture and building a long-term mission-driven business." "Build It is a treasure trove of practical advice and tips for managers, entrepreneurs, leaders and HR professional, in fact, anyone who is responsible for building and nurturing organisations and people." "Build it: The Rebel Playbook" brings these Rebels to life. The Rebel Playbook has found these rebels and rulebreakers. From small startups to global powerhouses, this book shows that courage, commitment and a people-centric mindset, rather than money and resources, are what you need to turn a good business into a category leader. The practical 10-part model highlights the areas which leaders need to examine in order to build a highly engaged company culture and provides a framework for success. From recognition to benefits and driving the right kind of values to foster an innovative culture, the book will help leaders develop their own bridge and lead a "rebelution" at their organization. Whilst explaining The Engagement Bridge model in detail. A ten-part model for examining your relationship with your people, The Engagement Bridge is explained in detail in Build it for the very first time. With a full chapter for each element, Build it explains the strategy and the standard. Each chapter concludes with an "In Practice" section detailing Key Rebel Behaviours, Key Outcomes Rebels Strive for, and ideas for Getting Started. The Rebel Playbook was written from two distinct and different perspectives : The entrepreneur and CEO – Glenn Elliott – and the corporate HR Director – Debra Corey. Together, they make a powerful combination as they weave a story through the ten parts of The Engagement Bridge™. Their contrasting experience makes for a book which is at the same time inspirational and practical. The first two chapters. Absolutely free.